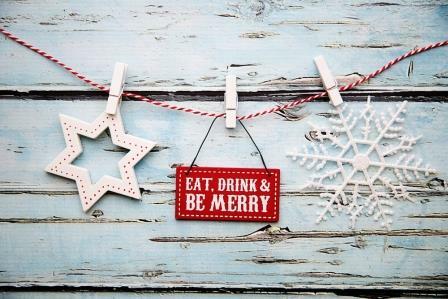 ‘Tis the Season to be Jolly’…But what about that dreaded Hangover? In the UK pubs are still closing at a rate of knots, and yet the British love a tipple, and never more so than at Christmas. With Supermarkets competing with each, and driving down the price of alcohol, it is readily available giving people plenty of incentive to stock up. But, if you have reached a certain age, where you can’t drink quite like you used to, or at least not whilst waking up feeling bright eyed and bushy tailed – then read on for some smart ways to minimise the almighty hangover. Of course, as the first point, I should say that if you don’t want a hangover – the first and easiest option is to not drink! If drinking often gives you a headache, makes you feel a bit flu like/allergy like, then you may be sensitive to ‘sulphur’, which is often found in wines, particular the sweeter varieties. Check the alcohol percentage, you may find a weighty red is as much as 15%, against a light white that might only be 11%, over the course of an evening, that difference can soon add up. Tannins and Phenols, which are found in the grape skins can also cause us to react, so choosing a wine that has been fermented for less time (white over red), may minimise some of the effects. Don’t drink on an empty stomach, food will help slow down the alcohol absorption. Alternate alcohol with water and soft drinks, this will reduce how many units you consume overall, but will also minimise dehydration, one of the biggest factors in a hangover. Fresh juice, can be a good vitamin booster. You might also consider a snack like bananas or kiwis, that help replenish potassium, a mineral you lose as a result of the diuretic effect of alcohol. If you find come the end of the festivities, you really have over-indulged, you can always consider having a ‘Dry January’!